First of all, the fact that you get two products in one is super handy. You can choose just to use it as a scrub or leave it on longer as a mask. As a scrub, it is really gentle on your skin. If you have sensitive or dry skin but are looking for a scrub this would be perfect for you! It’s very creamy and I love the oatmeal smell. As mask, it is really hydrating and you also get all of the benefits of the scrub when you take it off. The product is quite thick so you don’t need to apply much. If I had to say one downside it would be that if you’re in a rush and wanted to use the scrub quickly, it can take a bit longer to take off due to the thickness. It’s definitely a product to use when you have a bit more time to do your skincare. 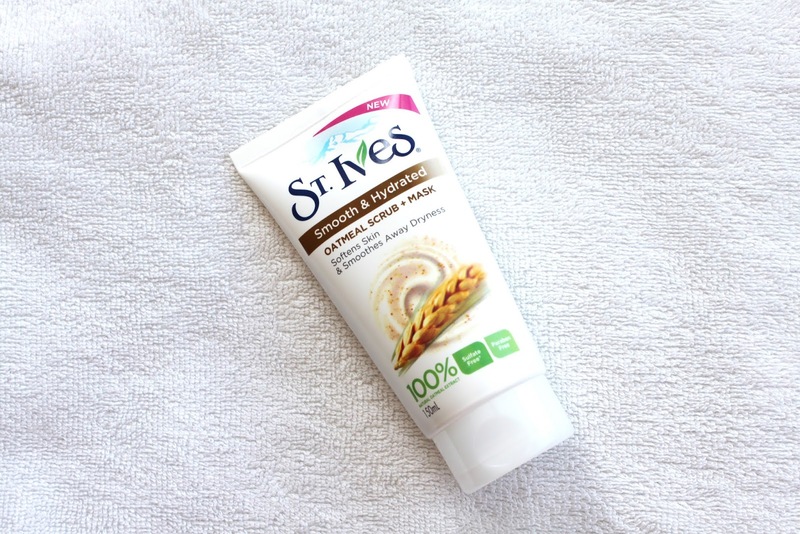 St. Ives Smooth & Hydrated Oatmeal Scrub + Mask is available at Priceline for $9.99 (AUD). What's your favourite scrub or mask? I love the thought of oats in a product, I'll have to look out for this! Ooh I'll have to give the body wash a try!